I have followed Peter Follansbee’s blog for some time as I enjoy photos of his work as well as those of the birds he spots on his daily journeys. I am not particularly interested in creating 16-17th century style pieces, but there is much to be learned and inspiration to be gained. 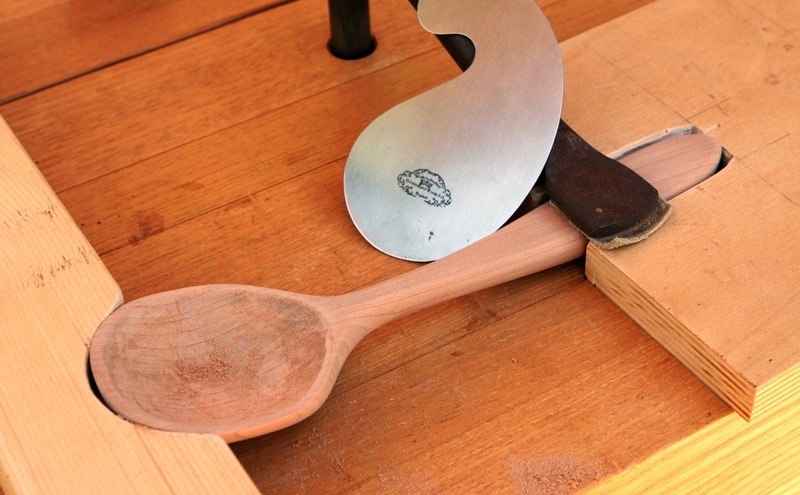 His spoon carving posts have a strong appeal to me. Makes me want to give that a go. 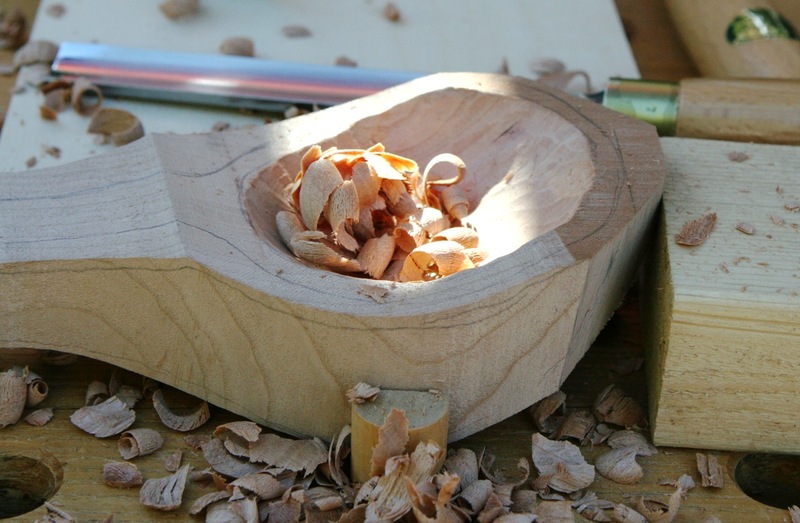 Lacking readily available green wood, carving knives and a proper axe I felt stuck, until I saw a Paul Seller’s video on creating wooden spoons with common bench tools. Hey, I should do that. 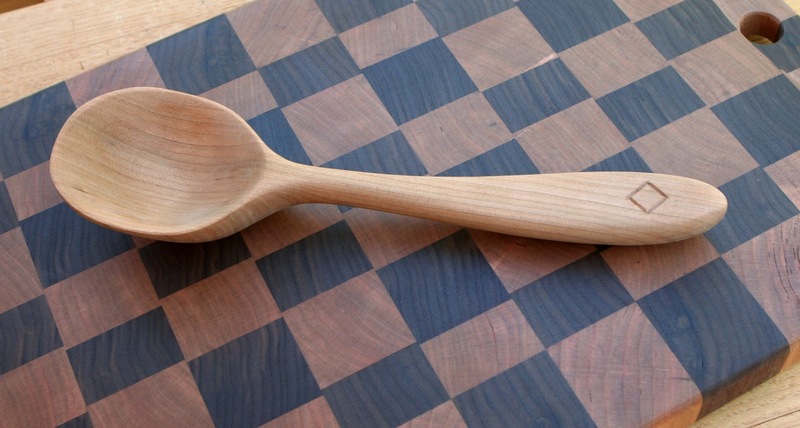 I like the look of spoons cut with a sharp knife, but this would let me explore size, shape, grain flow and with good fortune, give me a spoon to stir my pot. 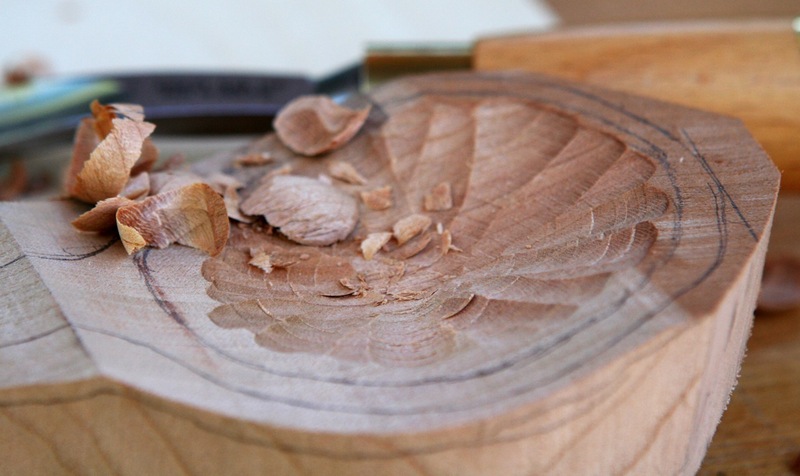 I drew a basic shape on a hunk of (kiln-dried) cherry, then at the band saw made a very rough shape. Stayed far from the drawn lines as I wanted to have options as I proceeded. 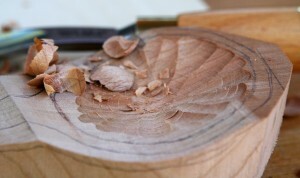 Then I dished out a bowl using gouges. I have one bent gouge, but found I was able to work with straight gouges just as well for the depth I was working. 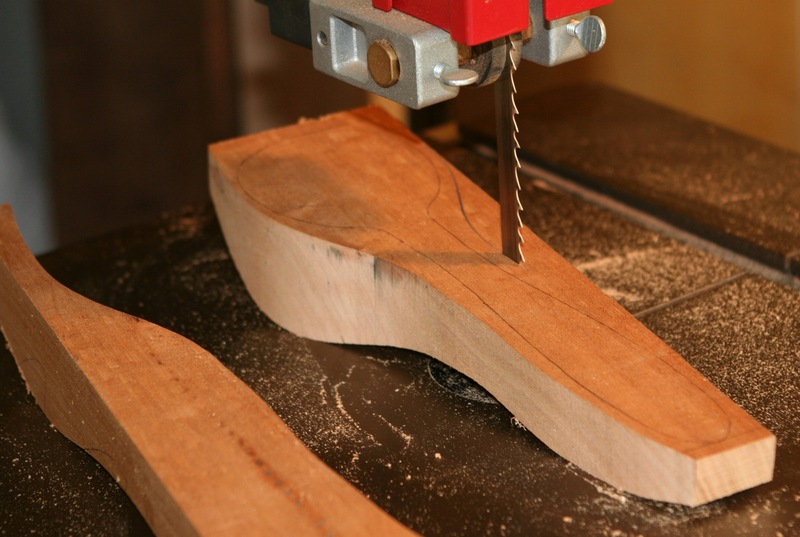 The challenge is dealing with the change of grain flow at the lowest part of the bowl. 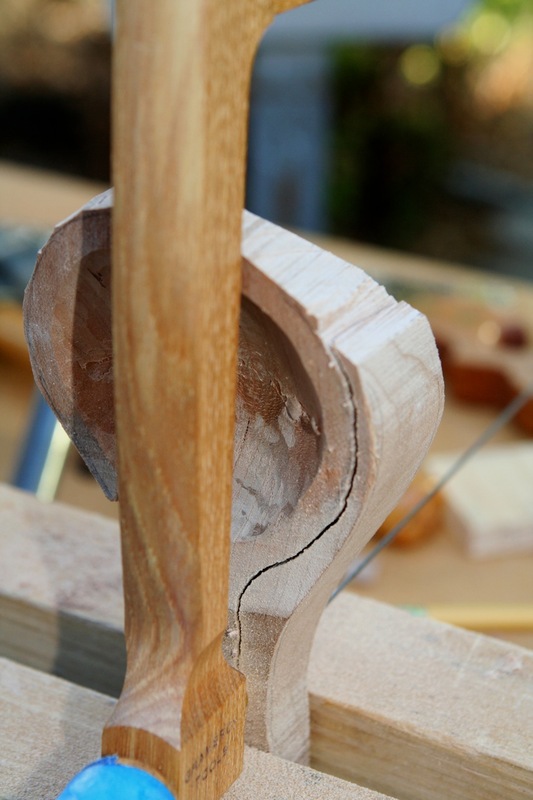 Once I had made some progress on the bowl, I removed more material with a bow saw, back saw and gouges. One of my back saw cuts went further than I wanted. The result is a bit of a flat on the underside which can be felt when fondling the spoon, but visually is not noticeable. 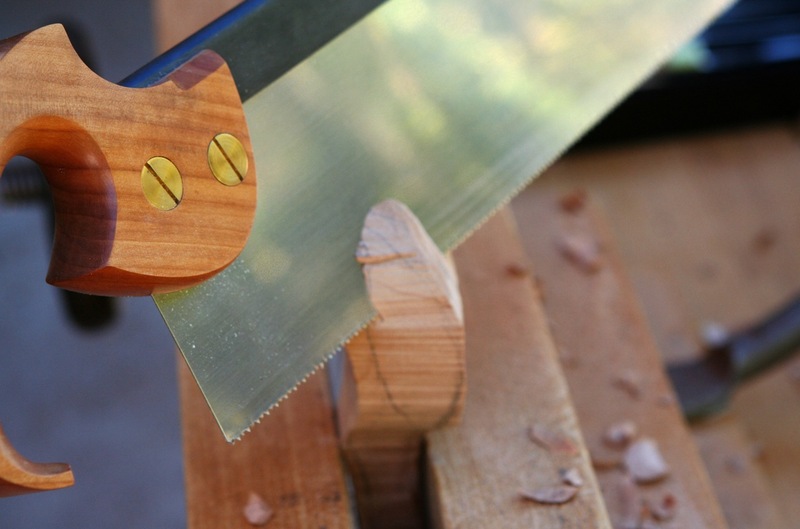 I continued shaping with gouges and rasps. Once a pleasing shape was achieved, I returned to the bowl and made it deeper and a bit wider. I finished up the bowl with card scraper and sanding. A Buhl-diamond was carved in the handle. The result is pleasing in appearance if you can abide the chunky look. 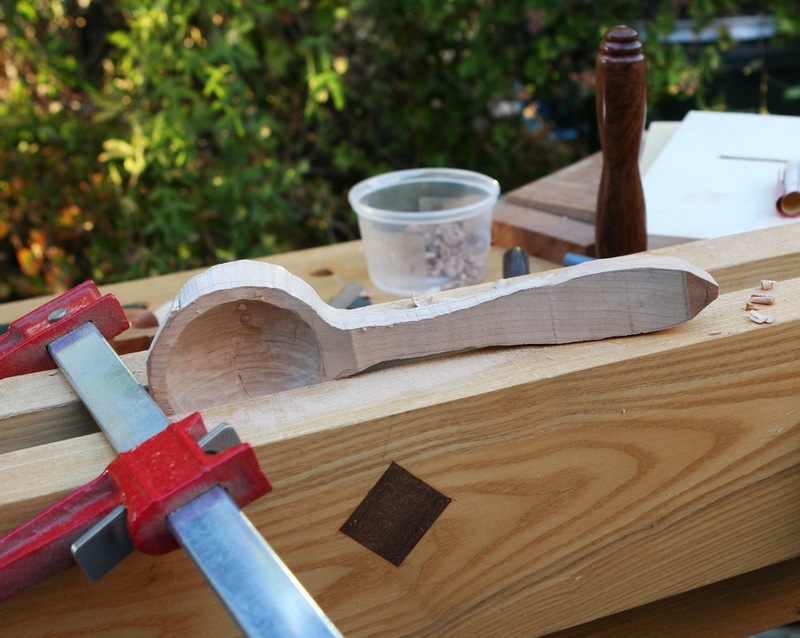 It sure doesn’t have the refined look of a cut spoon such as the Peter Follansbee creation shown here, but it is a beginning.